THE latest edition of Yamaha’s Tracer was launched on January 27 by Hong Leong Yamaha Motor Sdn Bhd (HLYM), in conjunction with its annual Chinese New Year gala dinner. The popular model earned itself the name of “Two Sides of the same Coin” and the Tracer 900GT replaces the outgoing Tracer 900 model. The GT was launched by Datuk Jim Khor, managing director of HLYM, and witnessed by Maurizio Ghezzi, Yamaha Europe project leader. Ghezzi handled the development of the Tracer Grand Tourer but the model sold in Malaysia comprises Japan complete-knocked-down (CKD) units. 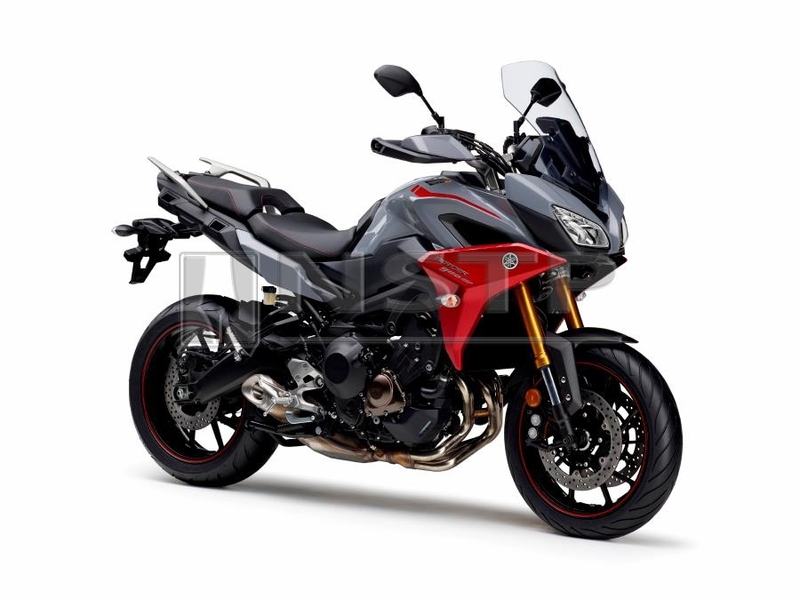 The GT is an evolution of the Tracer, but it retains the upright riding position and lightweight-handling characteristics. “The introduction of the Tracer 900 GT is Hong Leong’s quest to continuously innovate the mobility lifestyle of the Malaysian motorcycle enthusiast,” said Khor. The model seems to mirror Khor’s words as it offers more innovation and brings the Tracer series to the next level. The 847cc DOHC crossplane triple engine remains unchanged, producing 115 bhp @ 10,000 rpm and 87.5 Nm of torque@8,500 rpm controlled by YCC-T ride-by-wire engine management. The same D-Mode ride modes are offered and the assist and slipper clutch, TCS and ABS are all present and correct. The new upgrades on the GT are a quickshifter (up only), heated grips, cruise control and full-colour TFT instrument panel. On the chassis side, more upgrades are evident. The redesigned windshield is adjustable (one-handed) and the swingarm is 60mm longer to improve weight transfer to the front wheel. The handlebars are slightly narrower and the redesigned bodywork is designed to reflect the original Tracer while being sleeker and higher-quality. The upside-down front suspension is fully adjustable (separate functions for each fork) and the rear monoshock features a remote preload adjuster for easy changes. The GT comes in two colours — Grey and Matt Blue — and will be available this month at all authorised Yamaha Big Bike dealers. Early buyers will receive a free Yamaha Disc Lock and also be eligible foraspecial and attractive Aeon Credit financing scheme. At RM58,888.00 (including SST) the Tracer GT will be a force to be reckoned with in the competitive middleweight tourer segment.